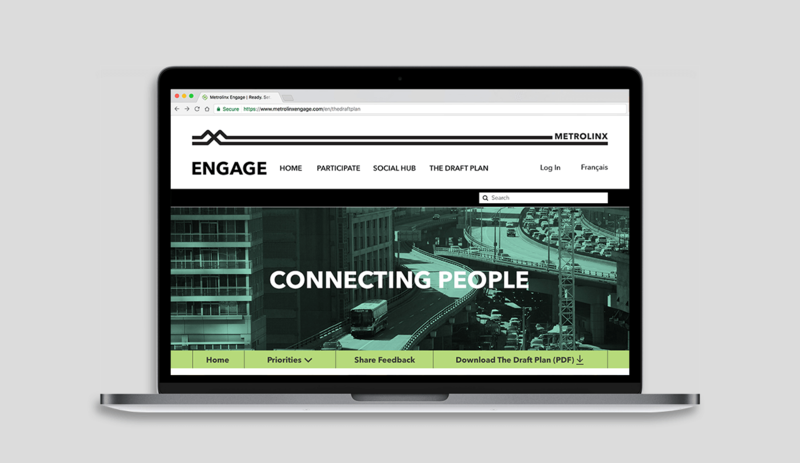 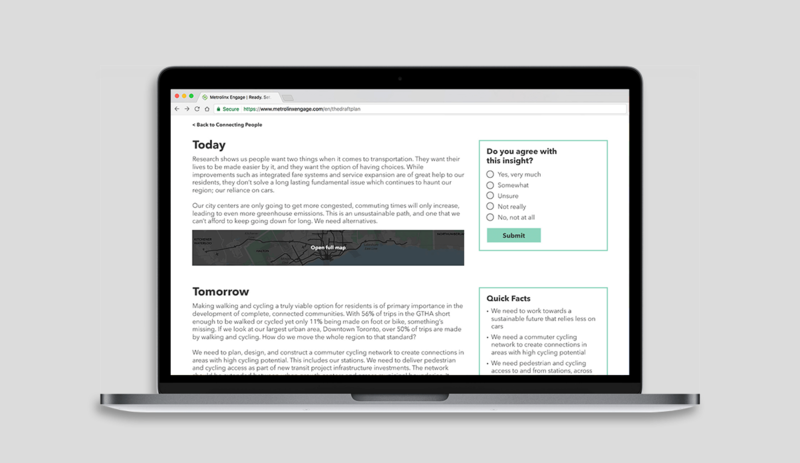 Metrolinc asked Publicis to take a new document they'd developed, the Regional Transportation Plan (RTP) and turn it into a website so it could be shared online and so the residents of the GTA could read it. 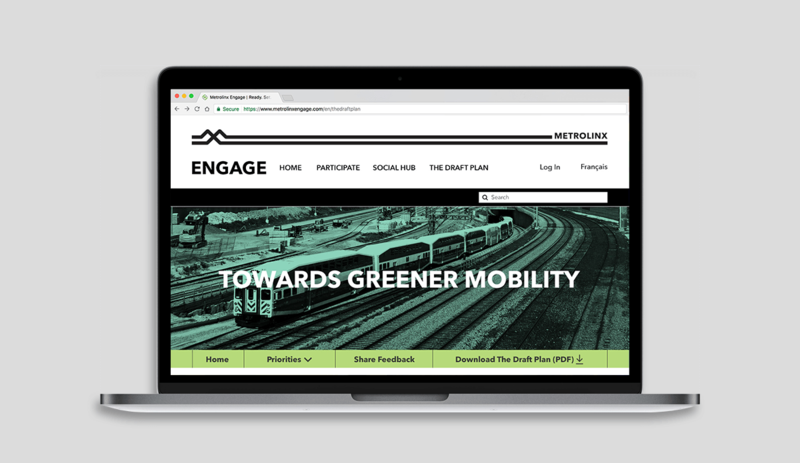 We took the 100+ page document and translated it into an accessible, simple, beautiful website using the new brand standards developed for Metrolinx. 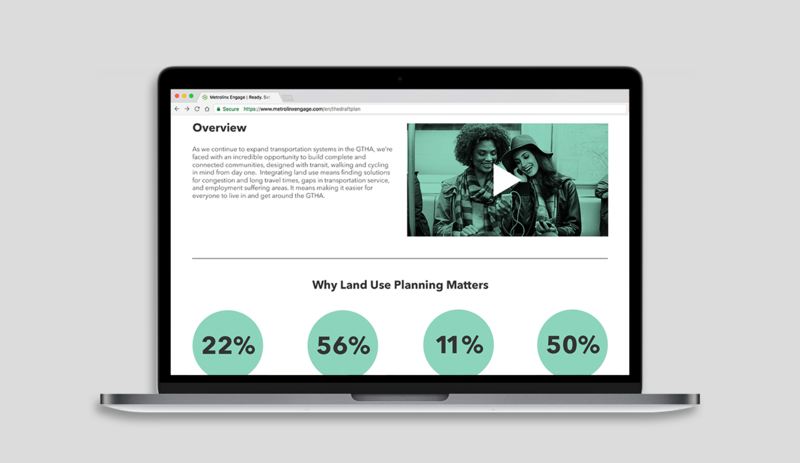 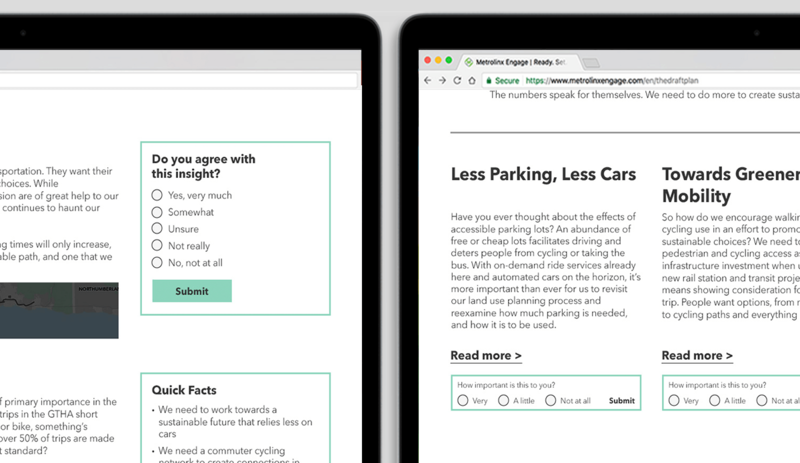 User feedback was a top priority so we included small, short polls and textboxes throughout the site to gather feedback on individual propoals, programs and projects that users could fill out at their leisure, rather than dedicating time to a lengthy survey. 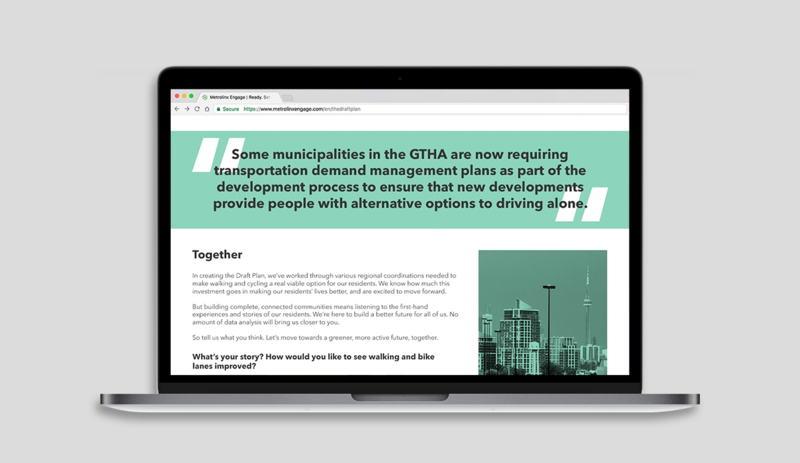 I art directed and designed the website, worked out the UX, ensured that the website met accessibility standards and worked with the dev team to implement best practices and work around technical limitations. 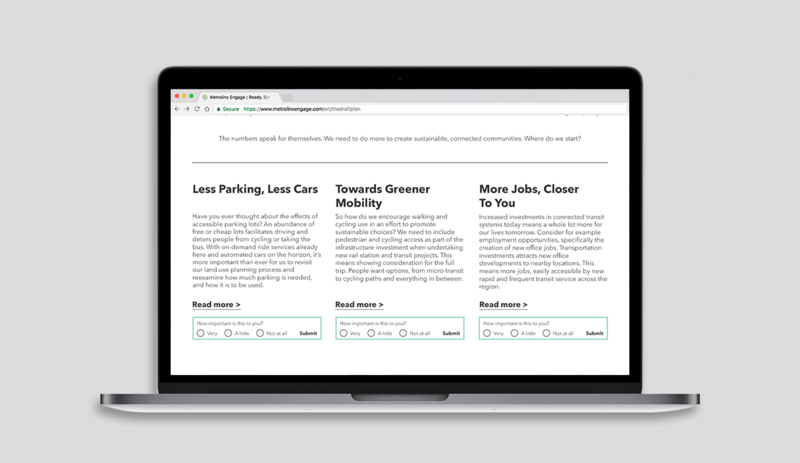 We implemented quick, small surveys throughout the website to gather user feedback throughout the site without being invasive or requiring the user to dedicate a lot of time, making it more likely we'd receive feedback.